I use the Color Me Beautiful Makeup products to show my clients how the right makeup shades can harmonize with and enhance their natural appearance. Color Me Beautiful offers a comprehensive array of makeup products that complement and harmonizes with the Lifestyle Palettes. The Color Alliance system makes selecting makeup colors a science and the way you apply them an art. I provide a makeup demonstration during the Color Analysis session and will help you find the right shades for your natural coloring. We have the most personalized approach to selecting makeup on the market today. 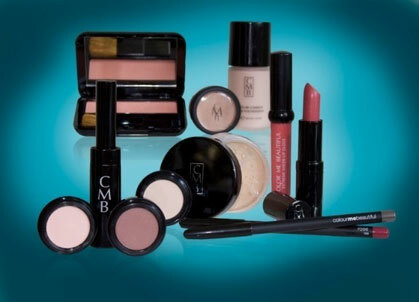 (Products sold are Color Me Beautiful; Flori Roberts, Adrien Arpel and Gayle Hayman). Healthy skin is attractive and beautiful. Proper skin care can aid in skin function and improve its natural beauty. Check out the Adrien Arpel line of Alphaceutical products that can lead to smoother and healthier looking skin within 21 days of use. (Ask for a demonstration).